This Leopard Frog was spotted by GSC Board Members Steve Jansen and Judy Bock during a trip to the Waukegan Dunes on January 6th. 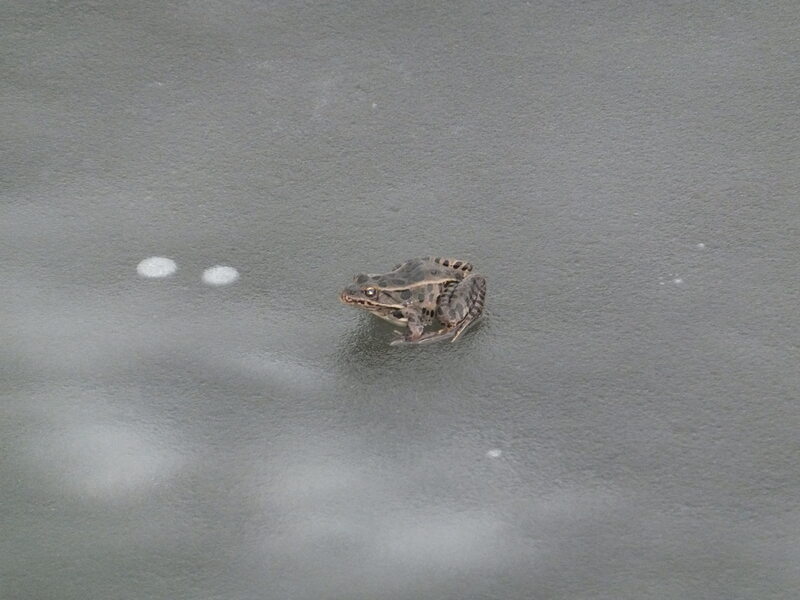 As they noted in an email the frog was “very much alive with a smaller fellow traveler” and its legs “comically slipped on the ice with each attempt to hop.” The temperature outside was 48° F.
However, small North American frogs such as the Leopard Frog and the Chorus Frog (the other frog, not pictured) are used to braving cold weather. 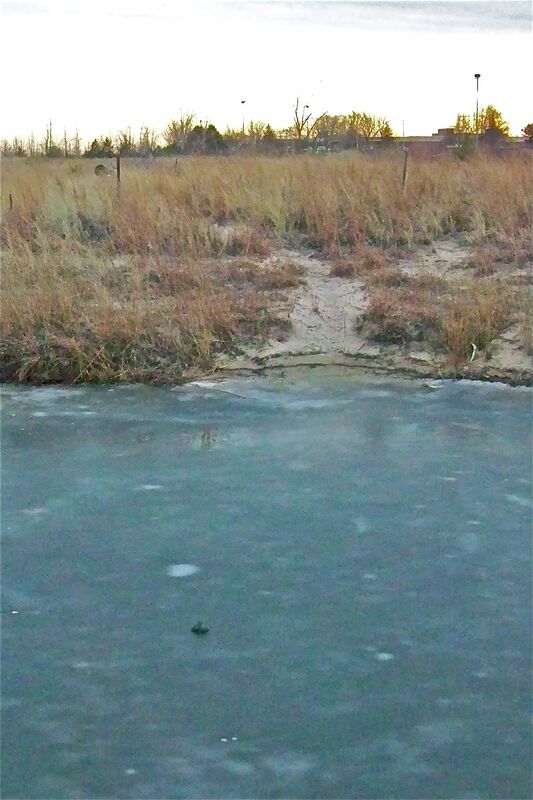 The Chorus Frog has been known to survive temperatures as low as 18° F. So, while the appearance of frogs in January isn’t yet a major cause for concern, it’s certainly an example of very strange behavior in what has been likewise a very strange winter.